The Town Development Forum was set up 4 years ago as an initiative by the Town Council in order to widen community input into it’s decision making process and to act as a consultative body for key projects coming into the town. In the past they have considered the Northgate leisure complex, town centre improvements, Policing, the Waterways, Blake Gardens and the library, Tourism and transport initiatives. All the outcomes are fed into the town council committee system and taken on board. At the final meeting of the 2015-19 Town Council term of office, the focus was on the Town Centre and also on the future of the Post Office. The meeting was chaired by Town Council Leader Cllr Brian Smedley (Westover) and attended by delegates from local community groups and business forums along with concerned residents, traders and activists. Speakers included regional managers from the Post Office and Sedgemoors Senior Economic Development Officer. in the interests of accuracy we reprint the minutes in their entirity. What’s Happening with our Post Office? 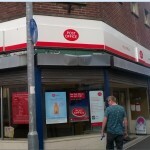 Post Office:- Stuart Taylor (External Relations Manager PO) and Matt Walls (Area Networks manager) addressed the meeting about their plans to keep a PO presence in Bridgwater Town Centre which they believed was crucial for community and commerce. Banking in particular was an area of growth and they expected the PO to become the Community Bank in High streets everywhere. They stressed that a PO was also a private business and under the same constraints. Their hope was to keep the same Eastover premises and there was a potential operator in the process of applying for the franchise. They were awaiting his business plan. If there was no permanent operator they would appoint a temporary one. They stressed the need for retail as part of any succesful business plan. 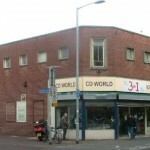 There had been a planning application for change of use but the aim was to work with the current landlord on the current site. The business plan approval was part of a 28 day process. Cllr Wes Hinckes (Hamp) said the staff at the current PO were excellent, friendly and efficient and asked if their jobs were secure. He was told they were. Nick Gibson (Bridgwater Forward) said the PO had looked tatty, battered, shuttered, dated, tired, drab and dreary and asked if this was the image the PO expected? He was told there had been changes since BTC had raised concerns regarding the aesthetics. Their expectation was that it should be a welcoming place. 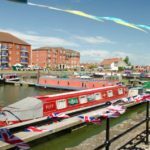 Mike Slade (Inland Waterways) asked if the PO would consider purchasing the current site, He was told they wouldn‘t as this was a commercial decision between operator and landlord. Nick Gibson asked about incidences of historic mismanagement and faulty computer systems. He was told there was a court case nationally relating to this allegation but there was no link. Mike Slade asked about opening times and enforcement of regime. He was told it would be a mainstyle PO which would expect 9-5.30 weekdays and 9-1 Saturdays. There are other POs locally including the new one on Taunton rd which were allowed to operate as fitted local circumstances, for instance fitting in with shop hours. What do we want in our town centre? Mary Winning (Eastover resident) raised the issue of transport policy and asked if this could be at the forefront of any strategy as it was currently a nightmare. She was told that Busses of Somerset were a key partner and that improvements were underway to improve the railway station. Nad McDermitt (Library) agreed and said Binford place was a traffic problem and also felt there were a lot of words in the ‚vision‘ like ‚transformation‘ but they didn;t seem to mean anything and felt that a 2009 vision was outdated. She was also critical of the dangerous traffic flow around the bridge. CM said sometimes these were Govt words they had to use. However, the bridge issue and the crossing into eastover was something that was being focussed on. Wes Hinckes said it would be better to market towns individually than try to market sedgemoor as an identity when it wasnt really one. Nick Gibson said Sedgemoor had originally been planned as Bridgwater Bay, which would have given it an identity. He urged relooking at the unused loading bays in the town centre and said they should be replaced with short term parking. CM agreed there should be more flexibility with the use of parking spaces and said that plans for eastover in the celebration milewould include more short stay. Cllr Mick Lerry (Victoria) said there needed to be more support for people who were starting up a business in particular with regard to the state of the premises on offer. He said town centres were a place for a community to meet and needed libraries, banks,cafes, good transport and a pleasant environment. People should be encouraged to move around environmentally friendlier with cycles, pedestrianisations and public transport if we were to take climate change seriously. 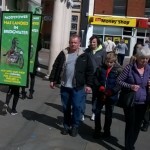 He was keen to see Bridgwater build up an independent traders market similar to Frome. David Mears (Town Clerk) pointed out that this had taken some 8 years to achieve. NG said that he had delivered their as a driver and remembered when it was run down but it was now proof that something could be turned around with a bit of work. Mike Slade asked for an update on the Library/Blake gardens bid. Brian Smedley explained that BTC had put in some £40k as they wanted the bid to be succesful but it had been defered to the SCF funding route which would relook at it. Cllr Brian Smedley thanked the speakers for their presentations and the members of the Forum for their attendance over the 4 year term of the Council and said whilst the minutes would be forwarded to BTC this would now be the last TDF before the change of council in May 2019. He hoped that any incoming council would continue its work.